Please find below the list of products reviewed(1) or attested(2) by Ecocert as suitable for International organic farming, in compliance with European, American, Japanese or Canadian regulations. Coconut coir products alone do not meet the definition of "soil" in the standard. 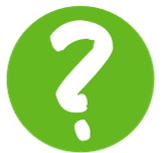 If coir products are to be used as a growing medium for staked crops grown to maturity in a greenhouse, minerals and living organisms (compost) must be added, otherwise the resulting crops could be considered "hydroponic" and not certifiable. Cueva W.Neudorff GmbH KG Plant Protection Products CANADA Allowed under Canadian regulation COR (Canadian Organic Regulation) Permitted for use as a wood preservative, fungicide on fruit and vegetable or for disease control.Shall be used with caution to prevent excessive copper accumulation in the soil. Copper buildup in soil shall prohibit future use. Visible residue of copper products on harvested crops is prohibited. Dunamis Custom Agricultural Intelligence Inc. Fertilizers and Amendments CANADA Allowed under Canadian regulation COR (Canadian Organic Regulation) Shall be used to correct documented deficiencies in magnesium, manganese, zinc & iron. Shall be used to correct documented deficiencies in magnesium, iron, manganese, copper, zinc & boron.Shall be used with caution to prevent excessive copper accumulation in the soil. Copper build up in soil may prohibit future use. Visible residue of copper products on harvested crops is prohibited. Shall be used to correct documented deficiencies in magnesium, iron, manganese, copper, zinc & boron. Shall be used with caution to prevent excessive copper accumulation in the soil. Copper build up in soil may prohibit future use. Visible residue of copper products on harvested crops is prohibited. PECKStone Protekta Inc. Feed Additives CANADA Allowed under Canadian regulation COR (Canadian Organic Regulation) Shall not be used in amounts above those necessary for animal nutrition. Synthetic nutrient minerals may be used when non-synthetic versions are not commercially available. Sluggo W.Neudorff GmbH KG Plant Protection Products CANADA Allowed under Canadian regulation COR (Canadian Organic Regulation) Permitted as a molluscicide. Shall be used in such a manner that runoff into water bodies is prevented. Contact with crops is prohibited. Stalosan F Protekta Inc. Other Products CANADA Allowed under Canadian regulation COR (Canadian Organic Regulation) Could be used in organic production to clean and disinfect livestock housing as required by section 6.7.4 of the Canadian Organic Standard. Stimyla Organilab Plant Protection Products CANADA Allowed under Canadian regulation COR (Canadian Organic Regulation) Peut-être utilisée comme phytoprotecteur. Vegol Crop Oil W.Neudorff GmbH KG Plant Protection Products CANADA Allowed under Canadian regulation COR (Canadian Organic Regulation) Summer oil:On foliage, as suffocating or stylet oils. Dormant oil:For use as a dormant spray on woody plants. Important: please double-check that the designated product is listed as compliant with relevant certification standard for your operation (i.e. column: « Product compliant with Regulation »). For example, an input whose status is "Allowed under American regulation NOP (National Organic Program). May be used if not commercially available as Organic" shall be considered as conform only in accordance with the NOP regulation and subject to the unavailability of the same product certified organic NOP. This product could not, for example, be considered to comply with the European organic regulation. (1) The Input Documentary Review service is based exclusively on a documentary review. (2) The Input Attestation service is provided upon a full onsite inspection and a documentary review. 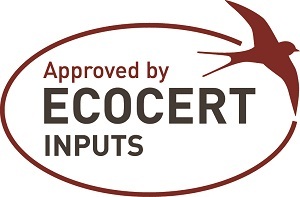 For more information please check our website: www.ecocert.com/en/inputs.